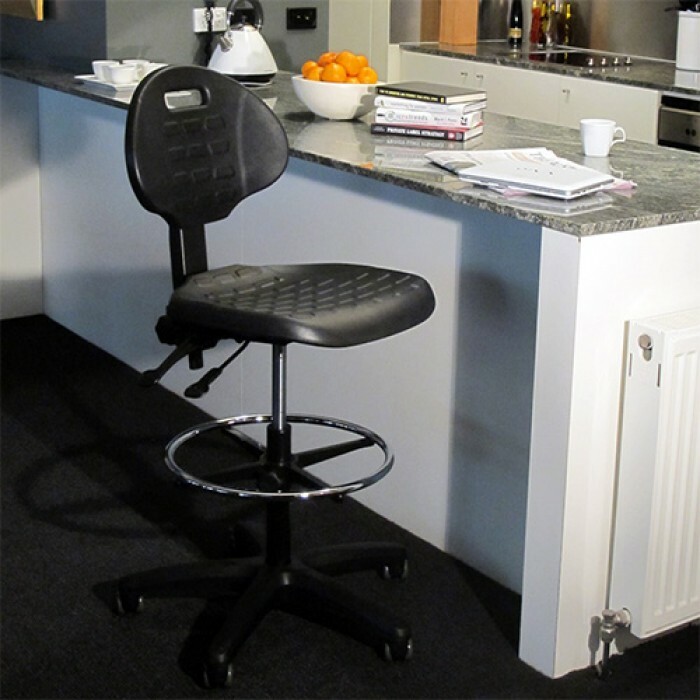 The WERK NXR-2 drafting stool features a moulded polyurethane drafting seat and back. 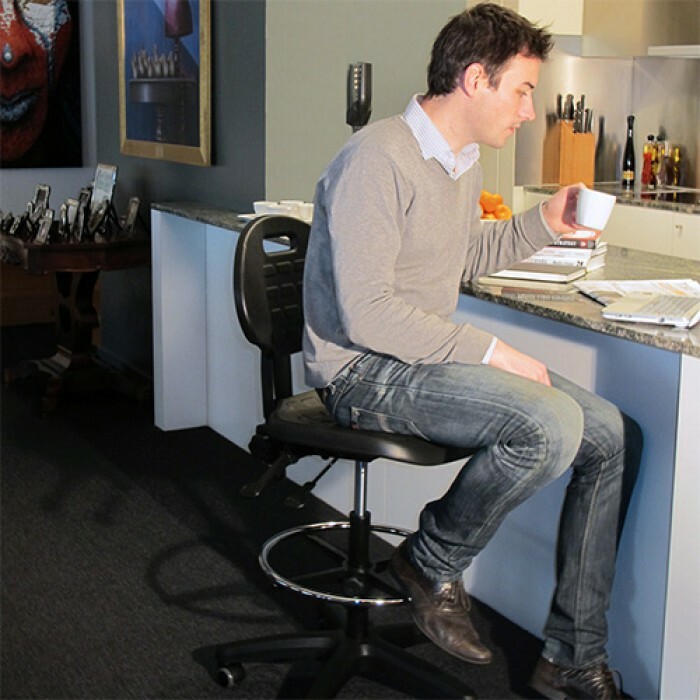 This maybe the perfect seating solution for your office environment. 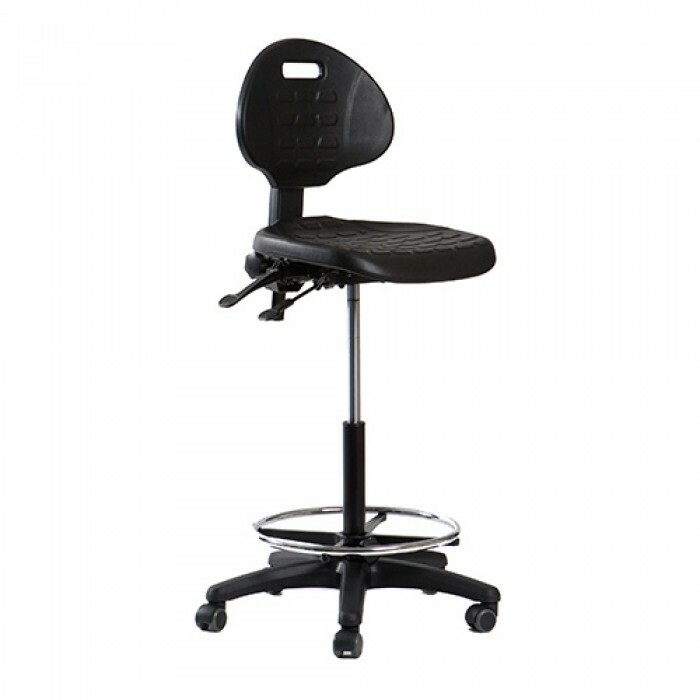 Complete with pneumatic seat height adjustment and back height adjustment, its 18" chrome height adjustable footring and heavy duty nylon base with twin wheel casters, means it's made to last. This chair does not come with arm rests. The seat and back feature a criss cross pattern on the seat and back.